This weaving project is economical, easy, and ideal for classrooms or community centers. 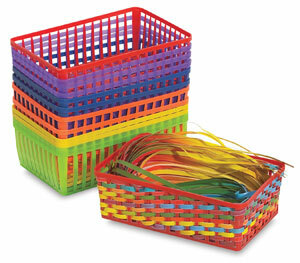 Weave bright, rainbow patterned paper strips through beautiful baskets to make unique home and gift items. Pre-cut paper and an idea guide is included. 12 baskets per pack in 6 bright colors.